Maggie is a junior at the University of Michigan majoring in Biomolecular Science and minoring in Entrepreneurship. 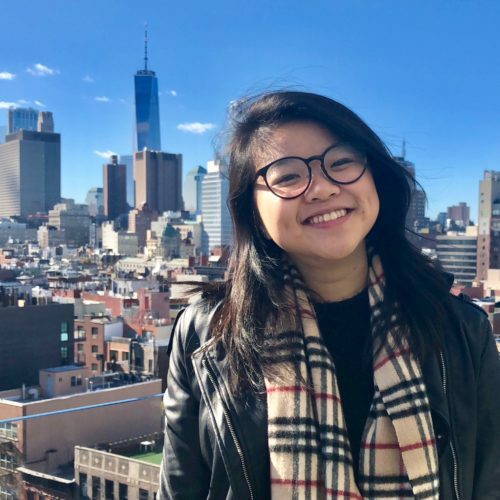 Hoping to pursue a career in pediatrics in the future, she has spent a lot of her time throughout past summers volunteering at Mount Sinai Hospital’s Pediatric Oncology department in her hometown, New York City. In the past, she has done research with the University of Michigan Comprehensive Center on metastatic bladder cancer and at Mount Sinai Hospital on thoracic endovascular aneurysm repairs. In addition to working at the Baldridge Lab, she is also involved in a social entrepreneurship club and multiple pre-medical clubs. Additionally, she is a part of the Global Scholars Program at the University of Michigan, hoping to increase knowledge and awareness of global issues.